Mayflower provides a 21st Century solution for the management of exterior lighting and associated illumination equipment. 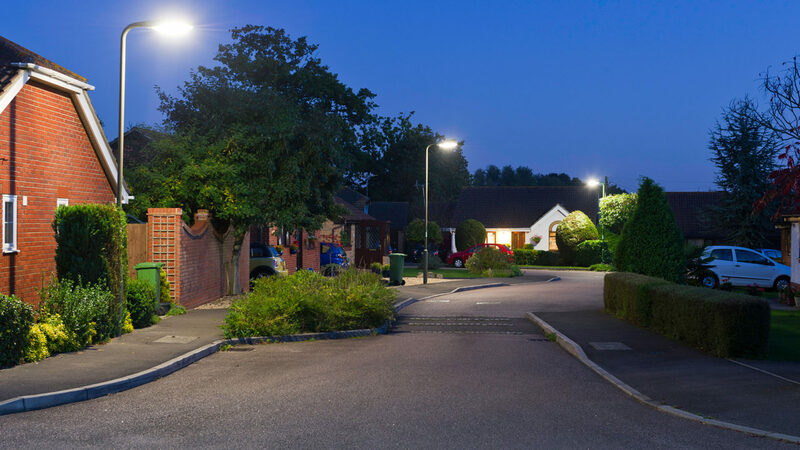 Its market leading products offer dynamic and managed smart street lighting and facilitate proactive remote estate management and cost reductions. This also results in a reduction of the carbon footprint of Local Authorities in the delivery of their services. In addition to targeted maintenance, accurate electricity metering and dimming of individual or groups of lights, Mayflower’s connected devices offer numerous other opportunities for Smart City applications. These include environment and weather monitoring, monitoring and assisting in refuse collection, parking, road surface temperature sensing and beacon and traffic counting. Local Authorities control street lights remotely from a web-based user interface and messages travel from the back-office application, via a GSM connection, to a gateway unit (referred to as a Sub Master). The Sub Master then uses ZigBee connectivity to deliver messages to around 500 individual lights. This process is reversed to report important data back to the customer and their field maintenance teams. Mayflower was originally using a local single network SIM card across its connected product range, which lacked the scalability, security and reliability the company wanted to offer its customers. In the early noughties, at the very beginning of the IoT revolution, Mayflower identified the potential advantages a centrally controlled and monitored system for public lighting installations would bring. After development, trialling and initial deployment, Mayflower began to look for ways to ensure this vision was more effectively connected. The solution was relatively simple to implement, but lacked universal coverage. Mayflower wanted to improve the coverage and resilience of its proposition and sought a specialist M2M provider of cellular connectivity. After careful evaluation, Eseye was chosen as a key Mayflower cellular connectivity partner. Mayflower’s switch, from single network SIM cards to Eseye’s AnyNet multi-IMSI/Operator SIM, immediately enhanced the visibility and management control of assets. Performance was improved across the whole estate, giving comfort to residents and road users who rely on street lighting for their safety. The operating costs and carbon footprint of lighting has also been reduced with targeted and predictive maintenance and the removal of the need for ‘night scouting’. AnyNet’s roaming capabilities also provides Mayflower with reassurance that the Sub Master is always in cellular coverage, removing the need for costly RF engineer cellular surveys and multiple contracts and multiple bills. Mayflower has also utilised Eseye’s expertise in resolving areas of complexity within the initial phases of project. With trial units deployed, Eseye and Mayflower worked together closely to ensure modem compatibility issues were resolved. A further, significant advantage of the AnyNet single SIM is its simple global, zonal billing. This gives Mayflower a connectivity solution on which to market its IoT products overseas, with competitive and pre-defined pricing. We are very pleased that our integration with Eseye has been so fruitful. We are happy to be able to offer a highly reliable solution, thanks to the connectivity. This allows us to become a truly international player in the connected street lighting field and Smart City Applications. The possibilities in Smart City development are endless but to achieve its full potential, exceptional managed connectivity is essential. That’s why we are proud to work with Mayflower – a company that is at the forefront of the Smart City movement and understands the importance of secure and reliable M2M connectivity.